Choosing the right home inspection company is an important first step when you require prompt, professional services. At Icon Home Inspections, Inc. in London, Ontario, our Certified Home Inspectors have the knowledge, experience and equipment needed to identify potential problematic issues within your home. 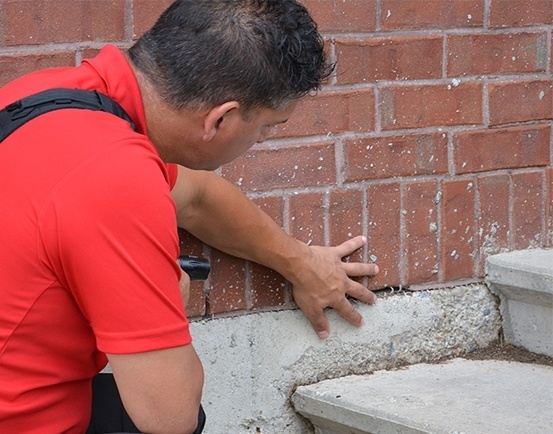 Our Certified Home Inspectors in London, ON pride themselves on educating clients so that they can better understand the mechanical components and proper maintenance and up keep of their home. Locally owned and operated, we are proud of the reputation we have earned among area residents. Our Certified Home Inspectors commitment to you is to arrive on schedule, provide you with a completed home inspection report and review our findings to help you make the best decision regarding your property. Whether you’re concerned about asbestos and lead, eliminating unpleasant odours and conditions associated with mould or heat loss and water intrusion, we welcome the opportunity to provide you with our professional expertise. At Icon Home Inspections, Inc. we are only a phone call away. Don’t wait another day to make sure your property is safe for your family. With more than 20 years of experience in the field our Certified Home Inspectors are ready to assist you with all your home inspection needs.